We can’t always anticipate every issue that may arise. Power Outages, fire, theft, flood can completely ruin the hard work you and your company have put into years of data. Strong Solutions provides secure data recovery and backup for your business whether you are in your Spokane or Coeur d’Alene office or traveling. 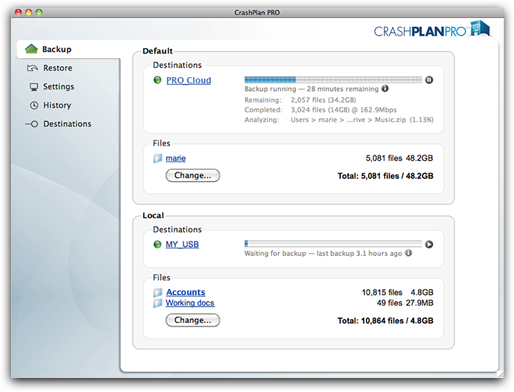 Our backup service is tailored to provide you top-notch recovery of your data in the event of an unexpected disaster. Why do I need online backup if I have Time Machine Already? We get that question a lot and we always recommend you use both. Strong Solutions strongly believes in a 3-2-1 backup plan. Three copies of your data, on two different media, with one copy off-site. Managed backups through Strong Solutions achieves an off-site backup on a different media type. 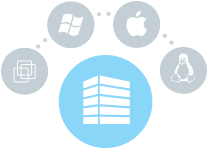 Multiple Devices – Each user can backup up to 4 devices per user/employee. Backup Anywhere – Protect your company’s data while you or your employees are away from the office–backups happen securely from any Internet connection. Fast Recovery – Whether a disaster or simple human error, your data won’t be lost for long. Unlimited Backups – With unlimited backups, we are able to maintain a backup archive that meets your company’s data retention requirements. Automated Backup – Gain peace of mind knowing that your computer data is being backed up off-site and optionally on-site, automatically.